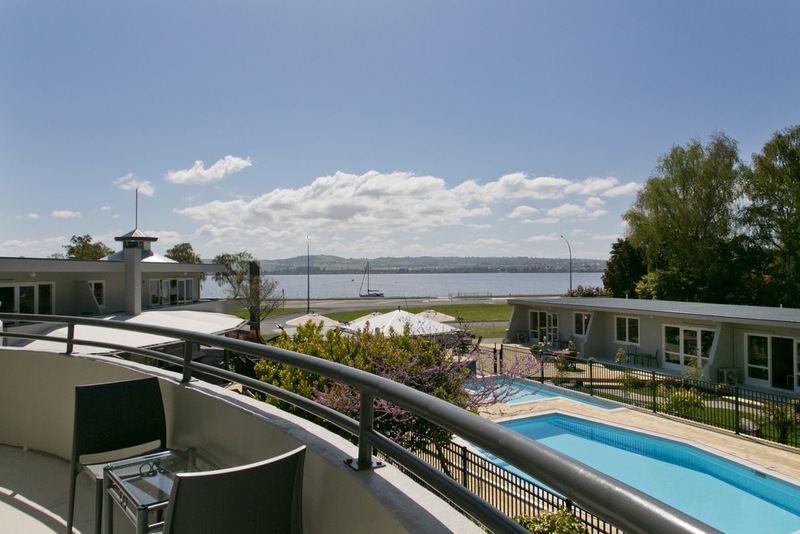 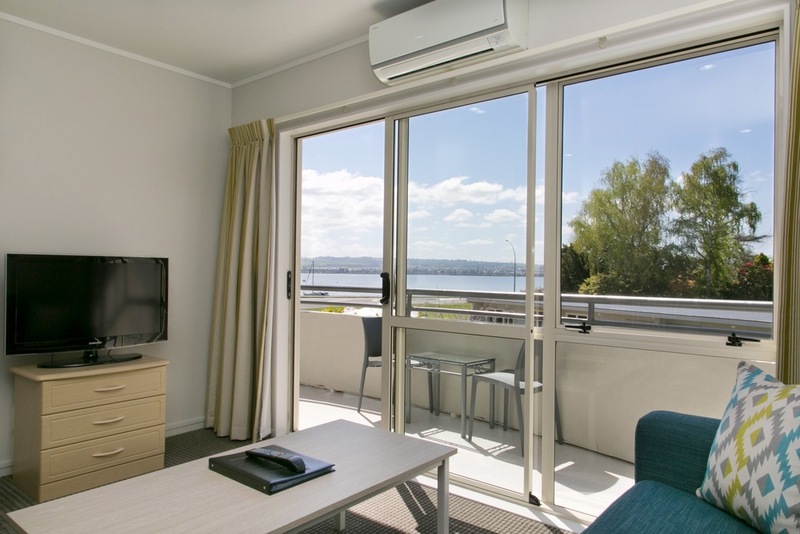 These large, well-appointed two bedroom apartments have great views of Lake Taupo, and are a lovely open space to relax in. 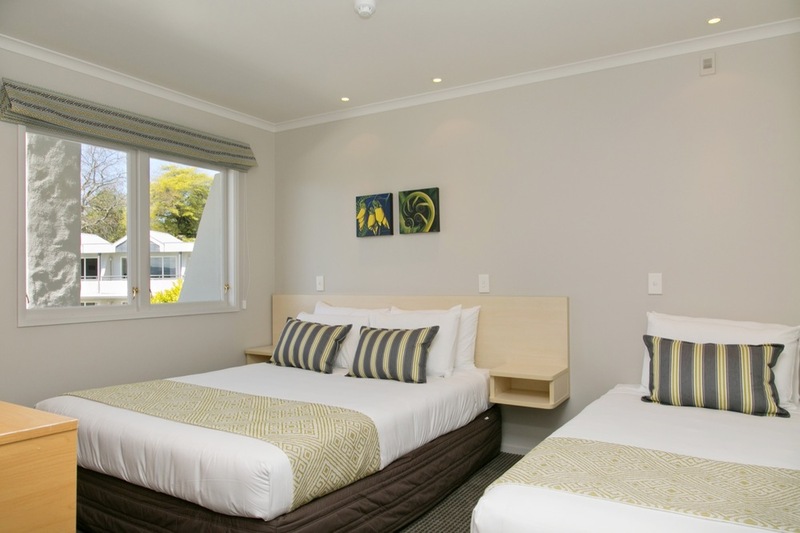 With a queen bed in one bedroom and a queen & single bed in the other, they are perfect for families or couples travelling together. 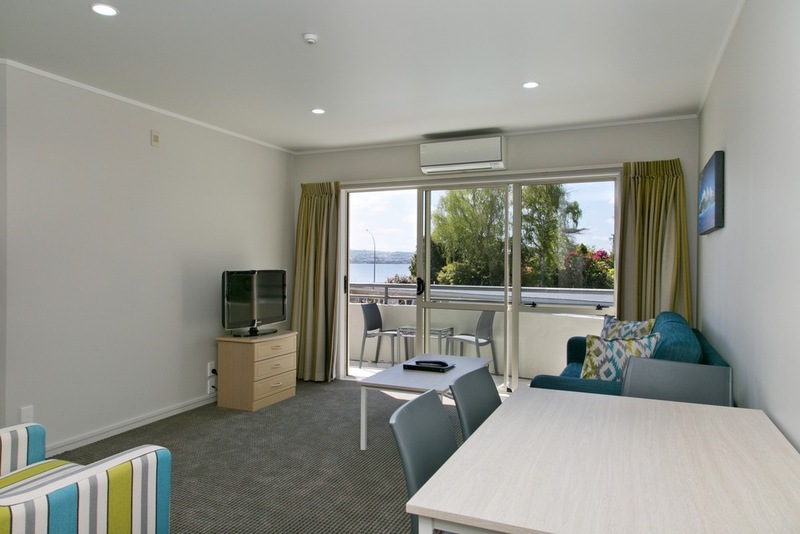 Well equipped kitchen facilities with a hob, microwave, fridge/freezer, toaster, tea & coffee making facilities, and dining table & chairs. 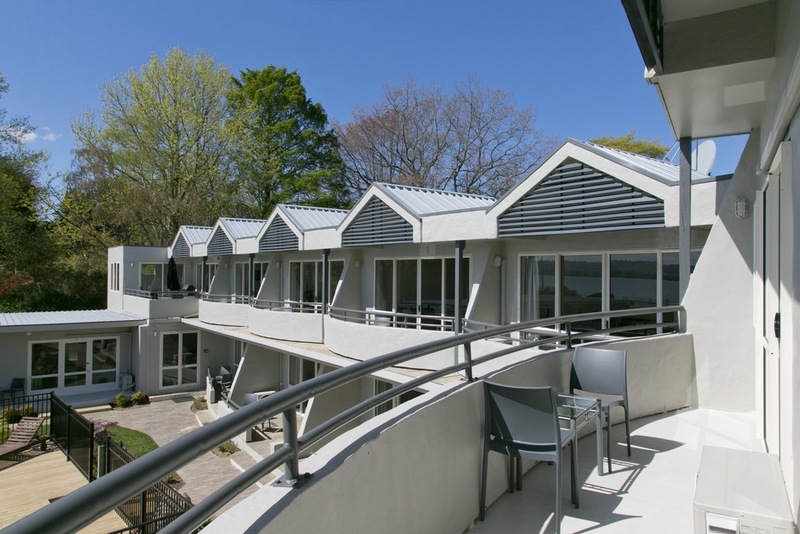 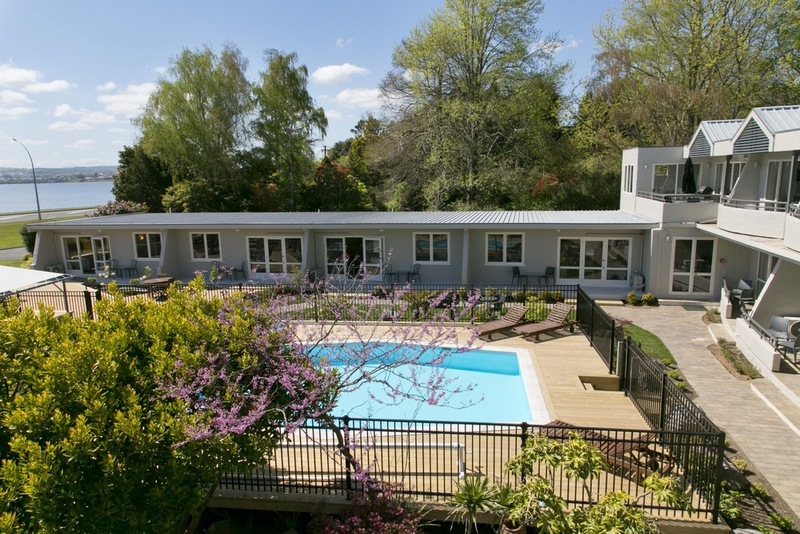 A private patio overlooks the pool area with heated pools and has spectacular views over Lake Taupo. 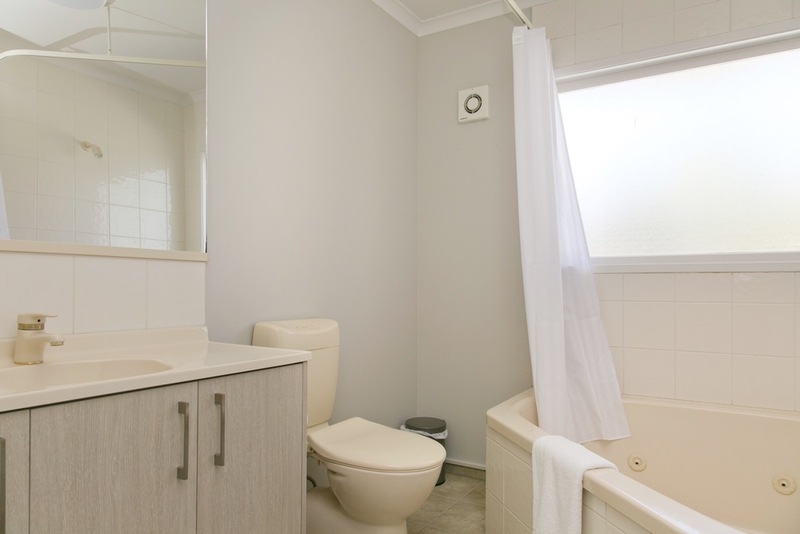 The bathroom has a large triangular spa bath and shower over the bath.